I have now made these updates into add-ons that will slipstream properly. Due to the nature of Windows Media updates, they do not slipstream properly if you use the direct hotfix integration method (slipstreaming). This is because there are multiple files in these updates - WMP 9 version, WMP 10 version and WMP 11 versions. nLite will always integrate the WMP 11 version. I presume this is because the version number is the highest. If you are slipstreaming WMP 11 then you don't need my add-ons. 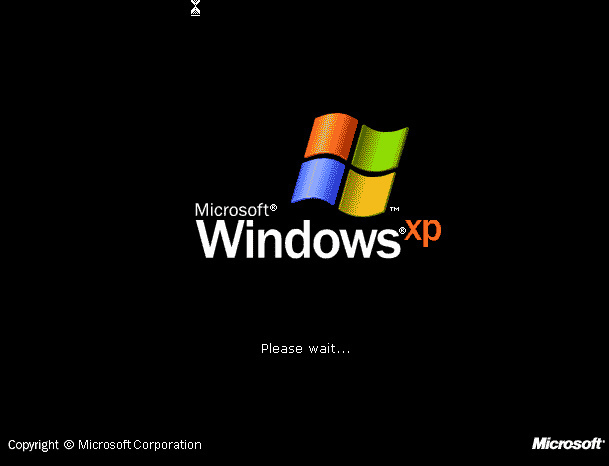 Setup will hang right before the OOBE splash screen (black background, Windows logo, "Please wait..." under logo). Remake your CD with my add-ons and reinstall. For non English versions, I'm afraid I have no add-ons. You must use the /integrate switch instead. Integrate Usage: /integrate:path where path refers to the folder that contains the i386 folder. I use KB952069v2 and KB968816 and they integrate just fine. I think the reason why it's working is that I also integrate wmfdist11.exe (Windows Media Format Runtime 11) on top of WMP9 (present on the XP CD) PRIOR to these 2 updates. The result is a Windows Media Player 9 that plays .wmv and .wma files encoded with WMP11 codecs including VC-1. Try it and see if it also works for you. I do not let nLite integrate WMP11. I use Windows Media Player 11 Slipstreamer by Boooggy and n7Epsilon to do it - works like a charm. Do you have the spanish version of your cabs as mentioned in yr page: http://win-x.co.cc/updates.html ? Or can direct me on how to modify them? I already know that yr cabs Kb890830, flash player, wga validation and xable-Windows update engne can be applied w/o modification but what about the ones for WM Player? Are the ones on yr page for wmp11? No, they are for WMP9. You don't need to modify them if you are slipstreaming WMP11. To make a Spanish version, just take one of mine apart and see how it's done. When you extract the hotfix you will see the different versions in different folders. Use the WMP9 ones. Hi, sorry for renewing this thread but I'm facing this problem as well...though it took me a while to find this thread. I am wondering is there anything that can be done for people who don't use English. I use Simp Chinese for instance. You told the person who asked for Spanish version to look at what you did and just follow through in the same manner. But all your link is linked to the addon-creation script. Does this mean I can just used my Chinese hotfix file (renamed to the English) with your script? (Though I checked the resulting file language in Property pane being English but it shouldn't be a problem, should it?) I mean it does use the same file I think, only the entry of language version is changed by your script. I really don't want to use the regular /Integrate method...it takes up too much room. I'm of the belief now that language doesn't matter. The binaries are the same. The only thing that may be different is the entries under HKEY_LOCAL_MACHINE\SOFTWARE\Microsoft\Windows NT\CurrentVersion\HotFix\.KBxxxxxx (which I've posted a screenshot below) and the catalog file. It's probably in the operating systems language. If you are currently on an Simplified Chinese XP system, can you post a screenshot like the one I just posted or export a the reg key from one of the KB#'s and paste it into your next reply? Here is a CRC comparison of KB954155. Simplified Chinese and English. Red is different. Black is identical. So go ahead and use the ENU one my script makes. You must extract "i386\svcpack.in_" to "i386\svcpack.inf" before executing "/integrate" operations. Not doing so will cause the "svcpack.in_" file created by nlite to be deleted!